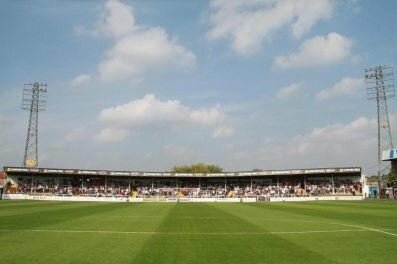 Extended lease for Hereford FC. Herefordshire Council and Hereford Football Club have negotiated an extended lease term which will assure Hereford FCâ€™s tenancy for a minimum of 10 years from the commencement date. The clubâ€™s stadium and surrounding area continue to improve following the opening of the new shopping development and the construction of the new City Link Road. There is also an opportunity for the redevelopment of the Blackfriars Terrace end, as part of the proposed â€˜Urban Villageâ€™ project. This would mean a new spectator stand and facilities, alongside other retail outlets, and would see the stadium being returned to four sides. Ten years is still a very short period if serious commercial investment is to be considered and HFC are already in Year 2.